motherhood & food: rebecca wheeler. 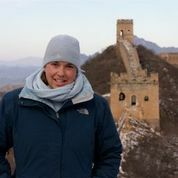 Rebecca Wheeler is a Chicago-based cooking instructor who guides food tours through some of the city’s cultural neighborhoods. Over the years, Rebecca has spent time in kitchens in Chicago and around the world. She has been to cooking classes in India, Thailand, Italy and Paris. And beyond that, Rebecca has sought out home cooks and chefs who have inspired her: an Indian cookbook author in Brooklyn, an Italian grandma in Umbria, and the chef of her favorite Thai restaurant in Chicago. For more than a decade, she taught cooking at The Wooden Spoon, and for the past ten years, has been running her own business. Rebecca is also a mom, dedicated to family dinner and to eating well. For more about how she navigates motherhood, food and travel, read on. What came first—your love of travel or your love of food? They have always been intertwined. When I was little, I started traveling with my grandmother who was in the Peace Corps. She did a term in Malaysia. And she did a term in Ecuador where I traveled to see her several times. Prior to that, I went with her to Sweden to visit an exchange student who had lived with her. I remember being fascinated by the food and how they ate. You’d have this beautiful breakfast with muesli, a big lunch, and then at 4 p.m. some snacks, and later in the evening, more snacks. It was fascinating to me. What I was interested in culturally was usually through the lens of food. I think it makes it accessible for me and does that for a lot of people. My daughter, Julia, is ten, and my son, Mack, is almost eight. What have been your most influential food experiences? When my grandma came back from Malaysia she started making Malaysian beef curry. Every time I would visit her on her farm in Ohio she would make it. I loved that dish then and I still love it. It’s my number one comfort food. That is what opened the doors to ethnic cuisine for me. When I came to Chicago I found a Thai restaurant I really liked. I got to know the chef, a wonderful woman, Toom Wiitanen. I asked her to teach me classes on Thai food. She said yes, which is fortunate, because sometimes chefs feel protective of their secrets. That was very significant: being in her kitchen and learning from her. Since starting a family, has there been an important food experience? Working at a cooking school in Beijing, China, and also, working with chef and cookbook author, Julie Sahni. Both of those were for a week–but I stepped away from my daily life and immersed myself in learning about food. There are so many little things I learned for the cuisines I teach. I am not a native-born Thai or a native-born Indian, so I don’t have the cultural context of having grown up in those places. While I think that makes me a good translator for people when teaching, I’m always hungry to understand the context. 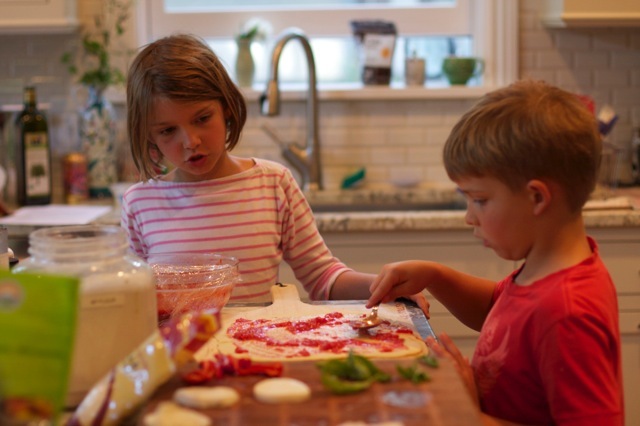 How have your culinary and travel experiences evolved since having had kids? It requires a lot of organization to leave town for a couple of weeks and go someplace very far away. And in some ways as they get older, it’s even more challenging than when they were little. We’re lucky to have support from our grandparents who are willing to have the kids for a few days at a time. With activities and everything that comes with having older kids it requires a lot of logistics, although they are easier and more self-sufficient. We’re entering the phase where I’m interested in traveling with them now, internationally, and not necessarily doing it on my own. 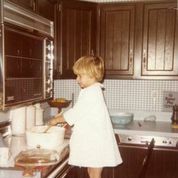 Before kids, I was a personal chef and I had several clients I cooked for and was teaching. I could piece together a living doing that. But now I see myself as full-time mom, part-time cooking instructor and food tour guide. My classes tend to be concentrated on weekends because that’s what people want. I have to be really protective of my schedule and careful about how to manage that flow. One thing I did last year was move to teaching only ethnic cooking classes. For many years I was teaching everything, but then I realized what I’m most passionate about are the ethnic food classes. The food tours are on weekends too. Typically, I’ll do either a class or a tour on a weekend, and sometimes, a class during the week. It varies tremendously. What has been the hardest thing about balancing everything? I always have this sense that I should be doing more, working harder, and saying yes to more things. Yet I’m very protective of my time and schedule. I feel really grounded in my values and how I want to be as a parent. I also need to balance out the fact that my husband has to work a lot. And that his schedule isn’t always predictable. I feel a little bit like that anchor, and I really value that and being able to pick my kids up from school and cook dinner for them. Right now, this is working. There are lots of areas to grow and do better at what I do. It’s stimulating. I spend a lot of time on parenting in terms of taking care of myself so I’m a better mother and a conscious parent. That helps me and is just as important to me. But it’s a tricky delicate thing. Is there a cooking or baking tradition you do with your family? As the kids have gotten older, they are able to do some cooking with me and that’s been really fun. Julia can make pancakes by herself. And I’m going to start more casually teaching her. As long as I keep it really pared down and simple. My goal is that my kids know how to cook by the time they leave the house, all the basics, roast chicken, pasta. I think it’s a great skill to have for life. And they still want to be with me. My son will cut up strawberries when I make jam. I enjoy those moments in time when they’re with me. I remember when I had just had Julia. You know how you read all the books and your head is spinning—I was reading about attachment parenting which was really big then. And then I would read about anti-attachment parenting. I was nursing, but I was having issues with nursing. I was just overwhelmed. I remember talking to my mom about it. She said: Read those things, that’s fine, but then find your own way in the middle. Take what resonates. And that is what I always end up doing with everything. I still get overwhelmed. Somewhere in the middle is what works and feels right. With work, it’s tempting to want to put ourselves in a box. Sometimes it’s hard for me. I’m not a stay-at-home mom, but I’m not working full-time. We don’t have to fit some neat definition to make it easier for someone else to understand who we are and what we do. That’s something that I think about when I’m struggling to find that middle ground that feels right. I come back to that advice my mom gave me: Take the things that work and find my own way. What gave you the idea to start doing food tours? When I was teaching cooking classes at The Wooden Spoon, I was doing some private Thai cooking classes. I would occasionally meet people at my favorite market on Argyle Street to help them navigate how to find lemongrass, how to get around the store, what to look for. And they would always have a lot of great questions. They were curious about the neighborhood. The Wooden Spoon was only three blocks from Argyle Street, so I proposed that we do a cooking class and food tour combination. We would walk to Argyle street, tour around for an hour and a half, go to a market, go to the Vietnamese french bakery, and then cook a menu that was Thai or Vietnamese. Those tours would always sell out. Then I developed the idea for my own business. I started running my own food tours and added Devon Avenue and Chinatown. I wanted to focus on a specific neighborhood and have it be a walking tour. I try to translate for people the context of the food so that they are excited to cook at home. There are a lot of people who just want to dive into the neighborhood and see a new side of Chicago. How do you find inspiration and stay creative? I have some favorite blogs. I love Dash & Bella. Food52 and Epicurious are food communities bringing together recipes and people. 101 Cookbooks does great things with vegetables and greens. And food magazines: Bon Appetit, Saveur, Fine Cooking and Gourmet. There’s a website called Plan to Eat—every week I will sit down, plan out my meals, and write my grocery list. 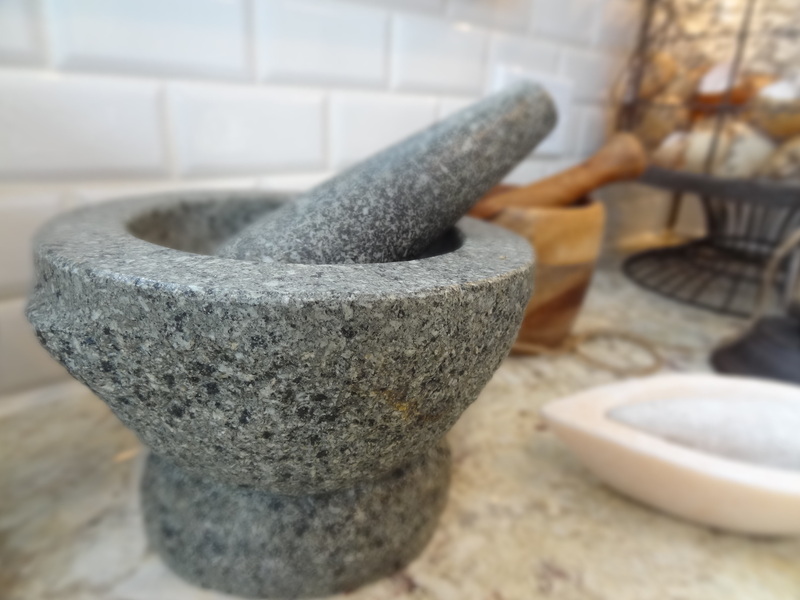 It’s a place to keep all your recipes online and I’m really in love with it. And then of course a huge source of inspiration is when I travel, and when I eat out in Chicago. I’m also inspired by a lot of home cooks. Where are you favorite places to eat in and around Chicago? My favorite place for brunch is Publican. They have the most incredible weekend brunch. And you can take kids there, it’s a very boisterous environment. One of my favorite places for dinner is Avec or Found. One of my favorite dishes is boat noodles from Jin Thai. With the kids we often go to Tank Noodle. My kids love pho (a Vietnamese soup). I love Xoco for something quick, and Urban Belly on Randolph Street. What’s the best way to include children in the kitchen? Just do it. Don’t make a big thing about it. It could be they tear up kale for your soup that night. You can give the youngest of kids a butter knife and they can cut up strawberries. There are safe ways to get them involved at younger ages. But I don’t think you have to view it as: we’ve got to start out and do this huge project together. Keep it simple. My kids make their own yogurt parfait and they make smoothies. Just empower them to do some small thing. Thank you so much, Rebecca. 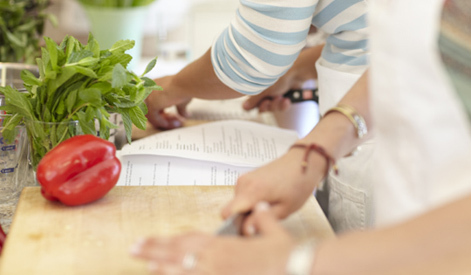 For more on Rebecca’s classes and food tours, check out her website. Rebecca’s words were inspiring for me too. Thanks for following along! Loved this piece. I can’t wait to see the read the rest of the series. Very inspiring. Next Poston writing, by erskine caldwell.